"There are three fascinating, contradictory articles about contemporary worship that I ran across this past week. What’s interesting about these articles is that they conflict and complement each other, in interesting ways. The authors of these articles have very different conclusions as to the state of Christian Music today, and the effectiveness of both..."
"You may be inspiring me to create my first ever online course. How to wade through these waters. 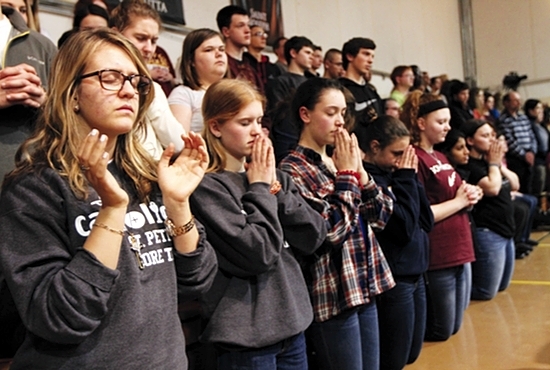 How to do 'New Evangelization Worship.' "
Please make comments below after you have read the three articles. Is your parish doing any Contemporary Catholic Worship and Praise music? Share your experiences, whether positive or negative. Are you thinking about introducing this genre of music? Here is a related article. This is from a recent issue of our Archdiocesan newspaper – The Catholic Spirit (the Archdiocese of Saint Paul and Minneapolis in Minnesota). It addresses the "New Evangelization" from a broad perspective. As you see, the article does not make any mention of worship or praise music. The failure to deeply Catholicize our youth is not necessarily due to poor song selection and styling. It runs deeper than that. There is a systemic erosion of Catholic-Christian culture in American society and most importantly within the family framework. Parents need to re-invest in their faith values – then the kids will notice.